Commentary: After more R2 units than you can shake a stick at - trust me, I've tried, I need a bigger stick - it's rare to see "firsts" in this category. 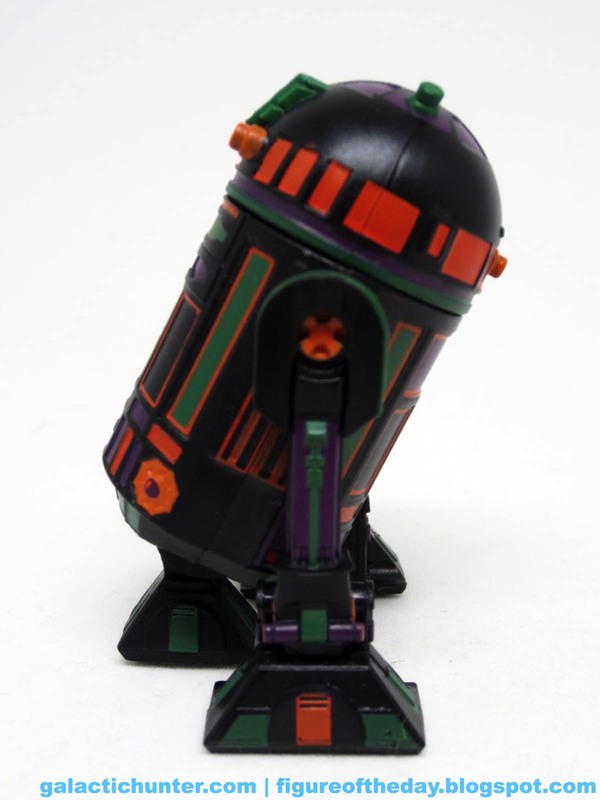 R2-B00 manages to be the first Halloween-themed Star Wars figure, the first Takodana figure, and the first "off-camera" new creation placed during The Force Awakens, or so I'm assuming from the packaging. 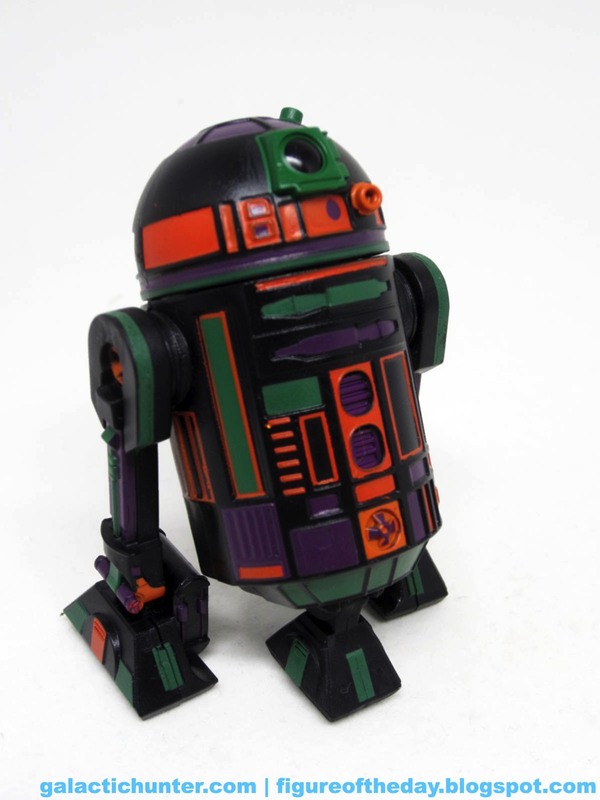 I also don't think I've ever seen a black droid with green, purple, and orange on it. It's kind of ugly. It's kind of great. It's kind of like the sweaters that one guy on that show used to wear, but we're not about to namecheck this individual. The mold is the same as the majority of R2 units you've bought at Disney parks since the wires were dropped from the feet, and the deco is unlike anything else I've got. 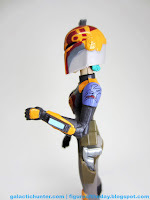 A long (long) time ago I pitched blank droids as an exclusive idea so people could come up with strange, original designer droids like this one. 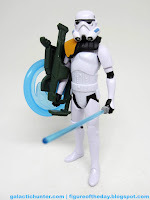 I may have also mocked up a Clone Trooper that looked like Samus Aran, but that's another story. 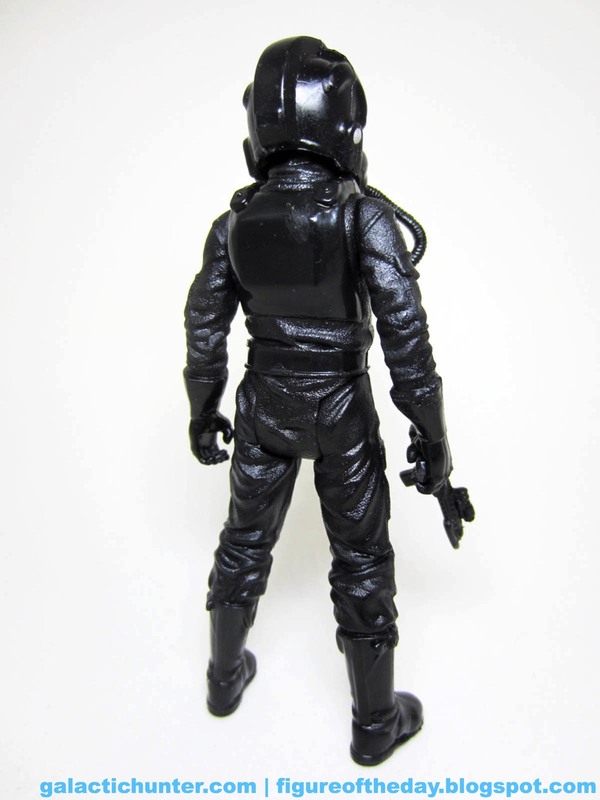 This one looks similar to the other recently released black droid other than the paint, and oh, the paint. I don't think we've ever seen a droid with this many painted panels - nearly every rectangle has at the very least an outline. Some panels are green with orange borders. 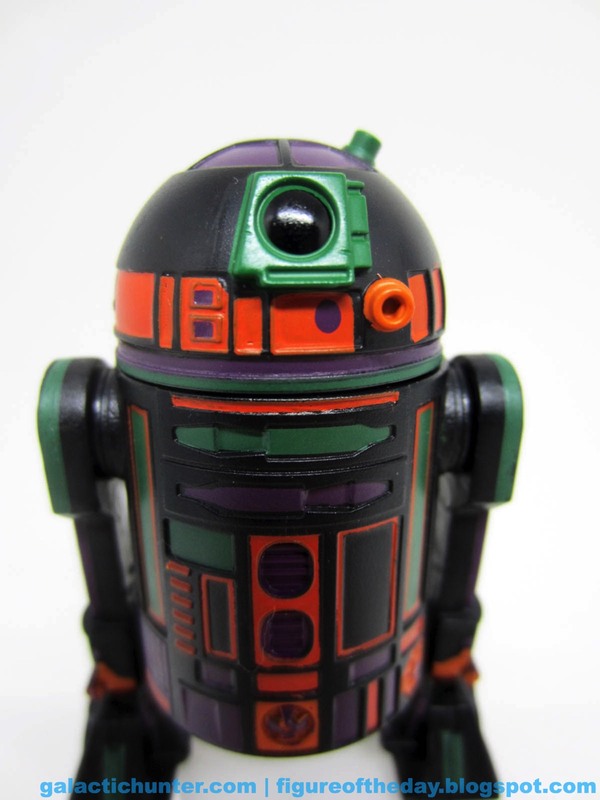 He costs more than other holiday/event droids, he has no hat, but boy howdy does he make up for it with the orange paint. It's overwhelming. 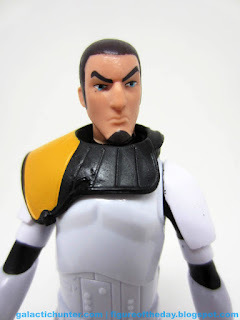 I don't even know why he has so much, or why Disney went with these colors. It's not exactly spooky or ghost-like, either. It doesn't quite recall any specific piece of Halloween lore, but the colors evoke this time of year. Sort of. The placement of the green seems odd, and the purple I just don't get - but it's weird enough that I like it. I'd love to see more of these. 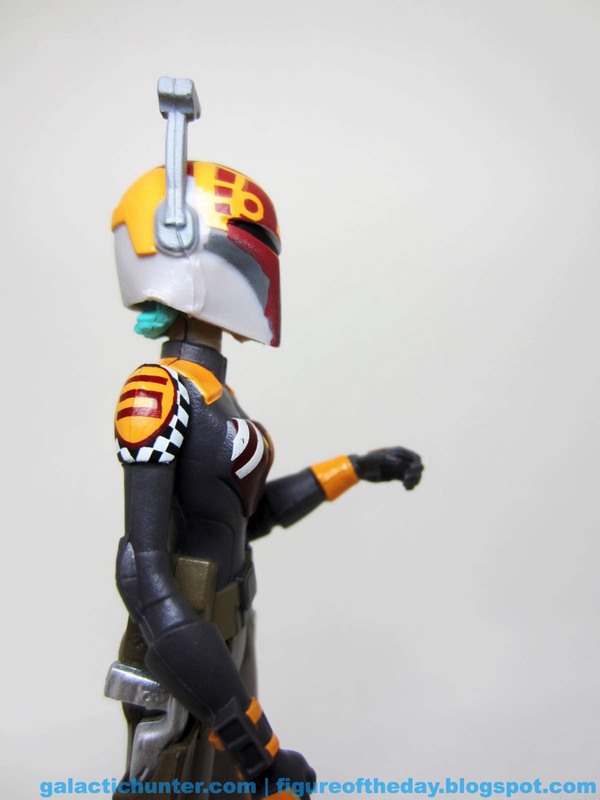 Maybe an orange droid with black markings like a jack-o-lantern. 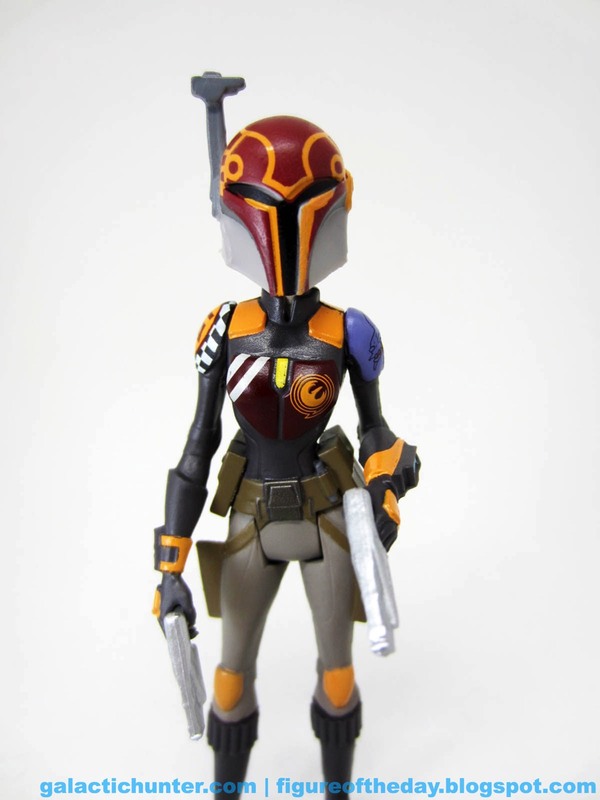 Maybe a black droid with skull-like deco on the dome. 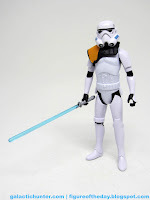 Or a glow-in-the-dark droid, which I would be willing to commit illegal acts to obtain. R2-B00 is certainly a sight to see with rolling wheels and articulated ankles, but one detail I should point out is the opportunity that Disney missed. 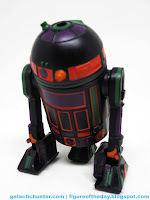 This droid's paint sadly does not react to black light. I was expecting a glowing, insane nightmare robot and what I got was pretty benign. Ah well. 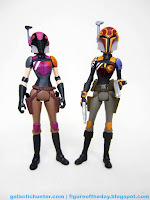 Like the silver figures of 2002ish-2006ish and the Holiday Edition figures and other Event Droids, you probably could skip this and your collection wouldn't care. 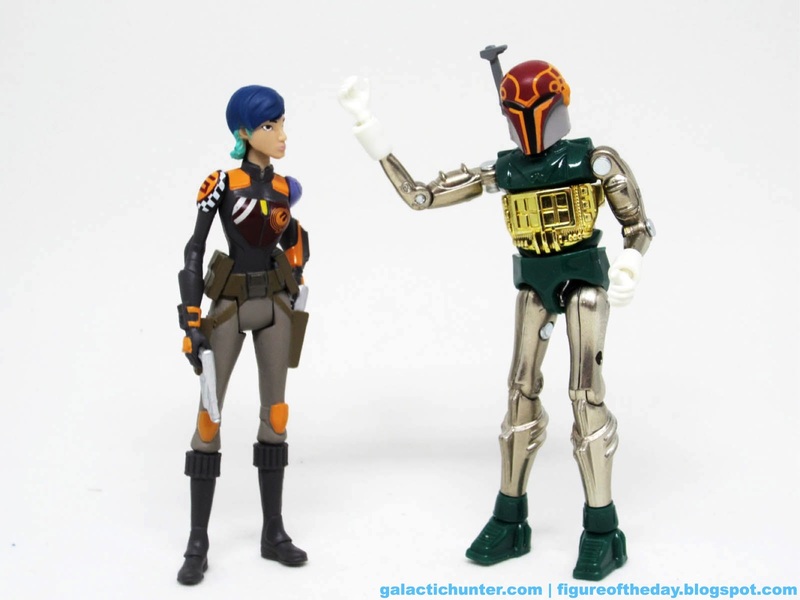 Because toy-only characters aren't really a big part of the canon, this little robot's appeal is probably squarely in the court of your love of color. 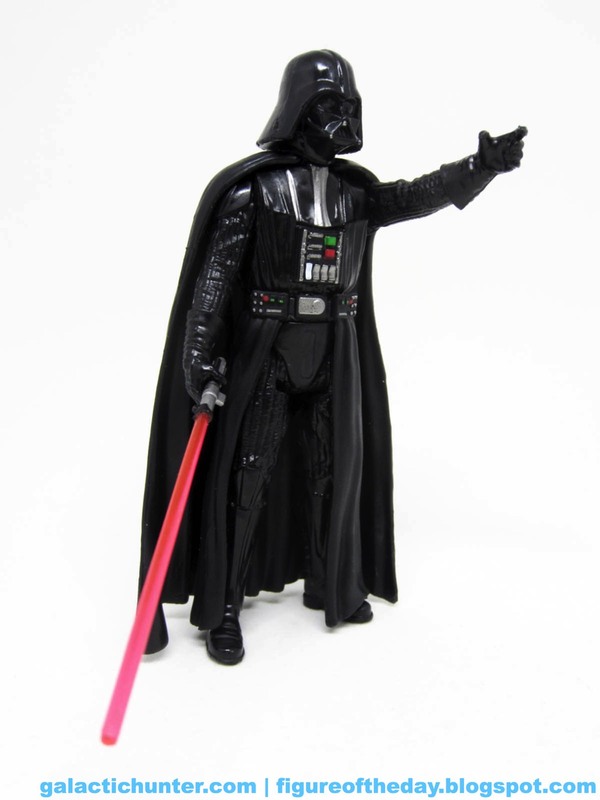 You have no reason to own this figure, but the way I see it you should have a toy that's just for Halloween so you can listen to your Oingo Boingo records while futzing with it and handing out candy to the tiny tots. Collector's Notes: I got mine at Disneyland. 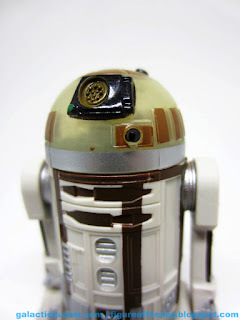 Commentary: Here's a surprise - R3-M2 has a new dome mold, the only one in the set. Some older renderings of R3 droids - specifically R3-01/R3-M3 [FOTD #1,301] - have domes like this one, so maybe Disney has just cracked open the door to give that one another shot. 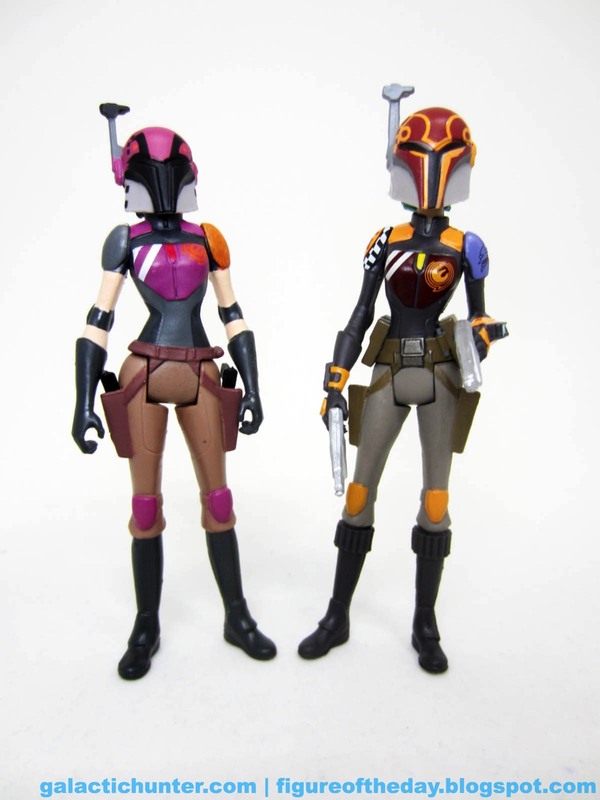 I hope so, Hasbro's take was always a little murky. 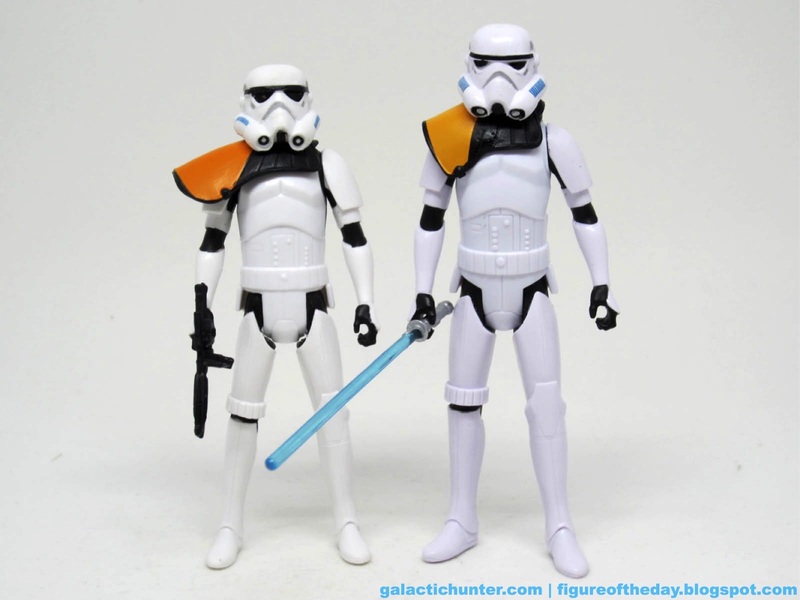 The body looks similar to other recent droids, with stripes running up and down plus a positively giant one running down its back. The off-white body and earth tones merge to look like a robot that could be rolling down shag carpeting, perhaps next to a space princess in bell bottoms. It feels very 1980s - and so does the dome, yellowed by the sun or stained by coffee in appearance. 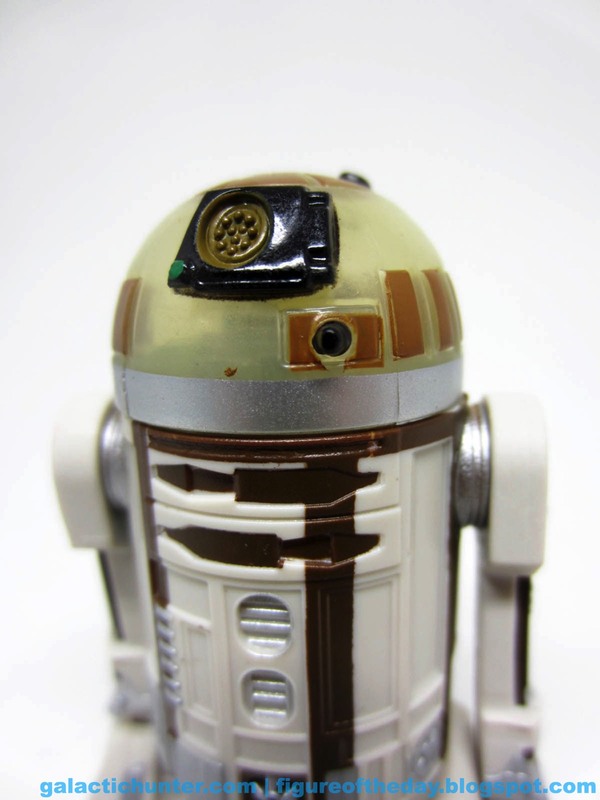 It has a textured eye - possibly a first in Astromech droid toys - and lacks much of the detail from the other ones. There are fewer panels and sensors here, plus the addition of a seemingly true-to-movie-R3s-but-we-never-complained-before silver equator at the base of the dome. This seems to be a key R3 feature from the movies, but your toy collection completely lacks it. 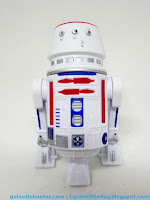 So in short, this new dome means you could have reason to re-buy every R3-series droid. Oof. 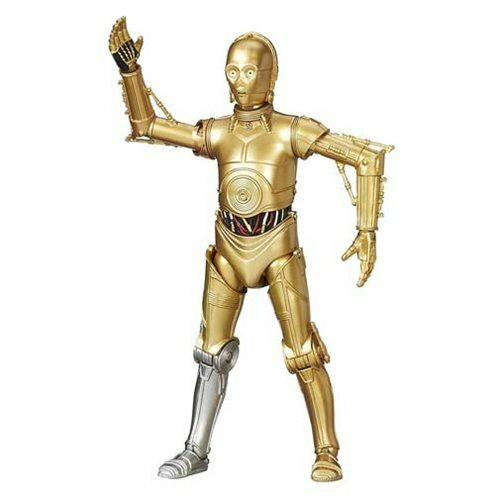 The feet have silver "toes" and like all Disney droids since the second wave, there are no wires on the feet. A shame, because these are largely very good - and this missing feature is a permanent asterisk when it comes to determining if the figure will suggest the door is still open for a revision later. With a couple hundred droids out there to collect you probably don't need - or want - droid revisions, but we've been getting quite a few of them in recent years. Demand something new! You're worth it. 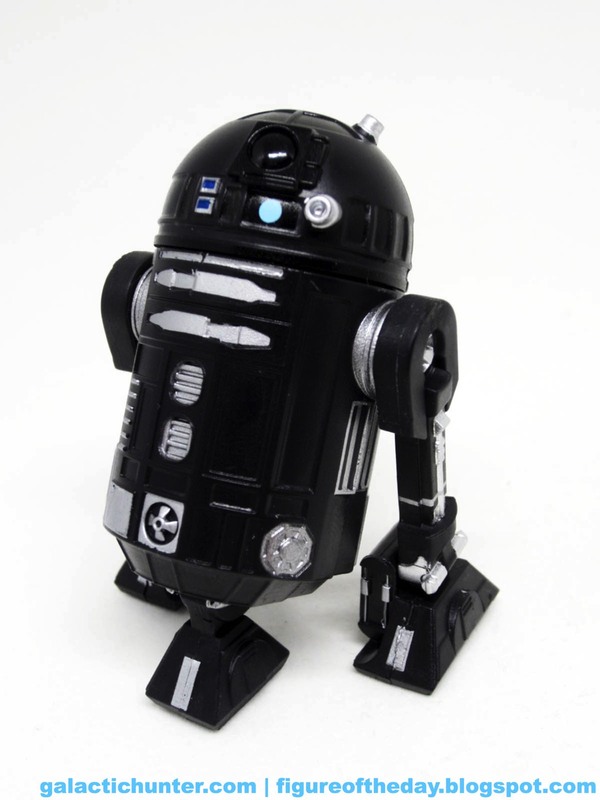 This is new, so get a R3-M2 if you love your Astromechs like I do. 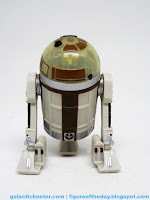 Commentary: It's kind of weird reviewing background droids with no backstory. It's also weird reviewing figures from a movie I haven't seen yet. Guess what? R2-BHD could fit these criteria and more - I just don't know. 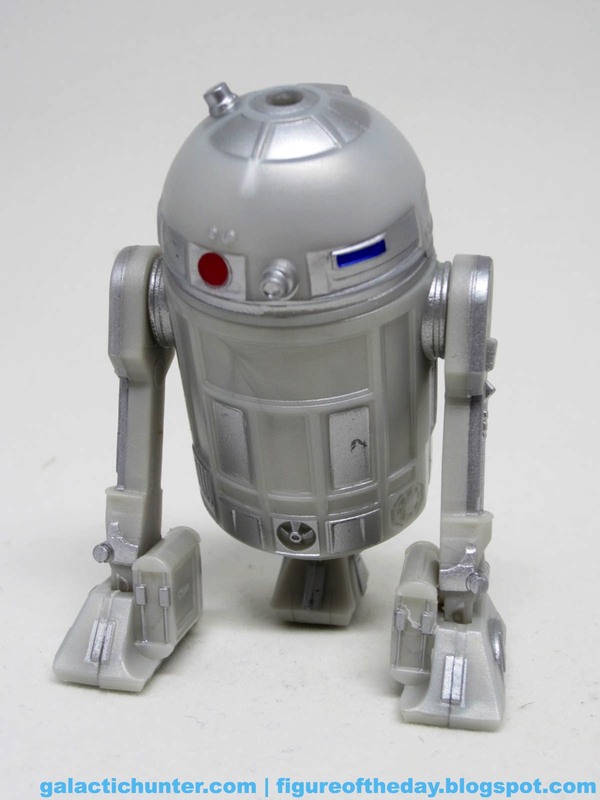 What I do know is that this is a silver plastic droid with silver-er panels and paint deco, and that apparently someone deemed it interesting enough to sell as a cardboard standee. Right now I don't know anything about it - is it a good droid, a bad droid, an alien's droid, or a deactivated pile of parts in the corner of Baze Malbus' ship? Could be. 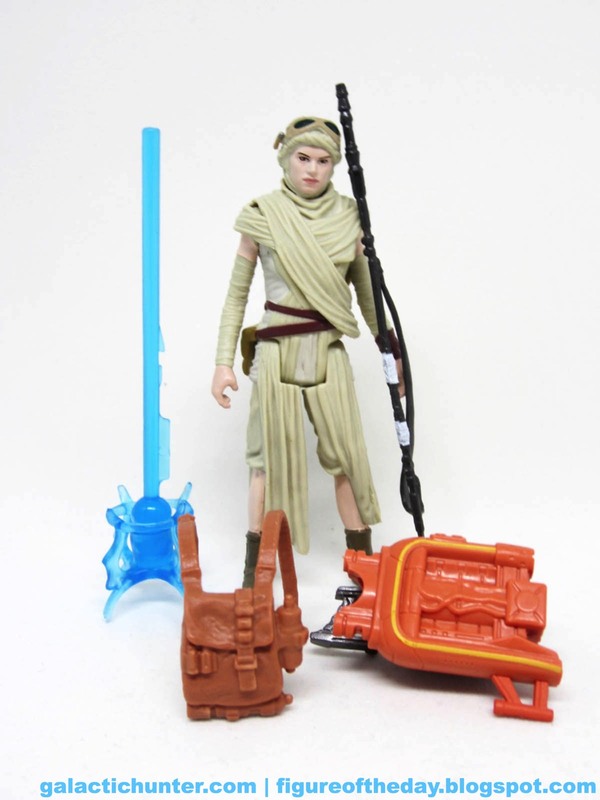 Comparing the droid toy to the droid photograph, it looks like Disney's toy crew got this one right. The body is (basically) grey/metal/silver, with painted silver highlights that pop nicely. 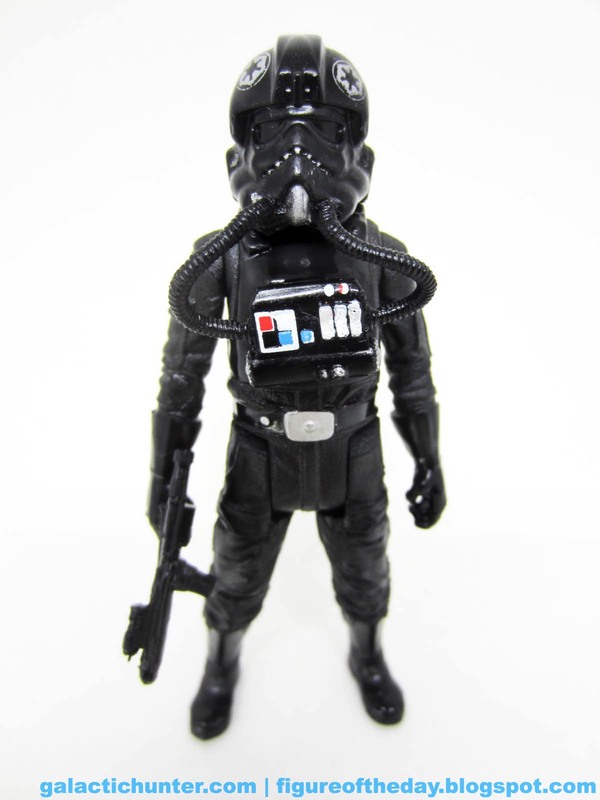 It adds something to the toy, much like C2-B5'a black-on-black turned out quite nicely. 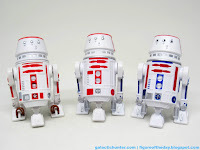 R2-BHD has silver panels, highlights, uh - toenails? 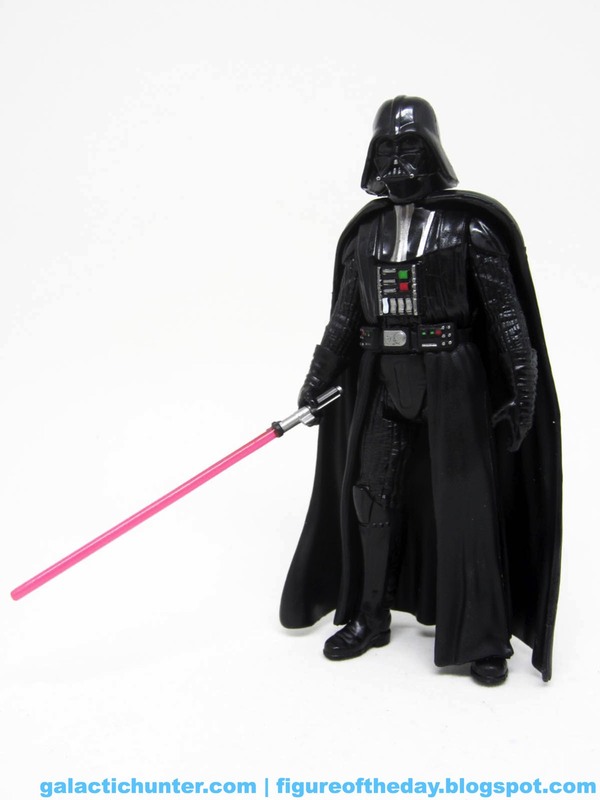 - and a little red sensor under his shiny black eye. 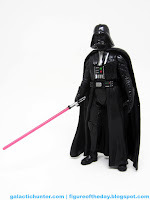 They even painted the little dots in the neck region of his body, which means... I don't know what it means. I haven't seen dots in there before. Maybe they're some sort of "Simon" game. I have no idea. All I can tell you is that the deco matches the picture, and you can tear off his arms and legs if you want. I like it because it's different. 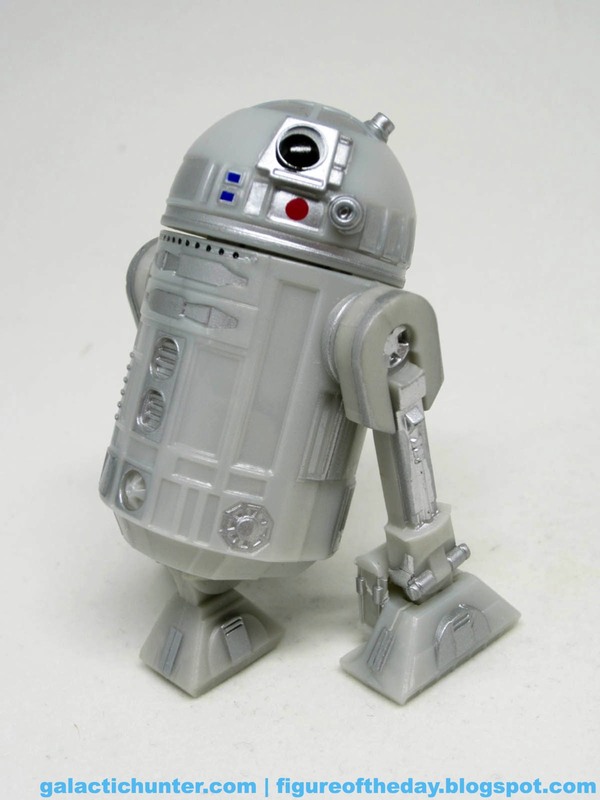 We've had two (count 'em) two different silver R2-D2 action figures during the time where Hasbro thought that was a thing that we'd all like, one of which is a U.K. exclusive from a The Saga Collection "Episode III" multi-pack that you are only just now realizing that you never bought. (Don't look for my review, I still haven't bothered to open up any of those silver action figures from the 2000s.) 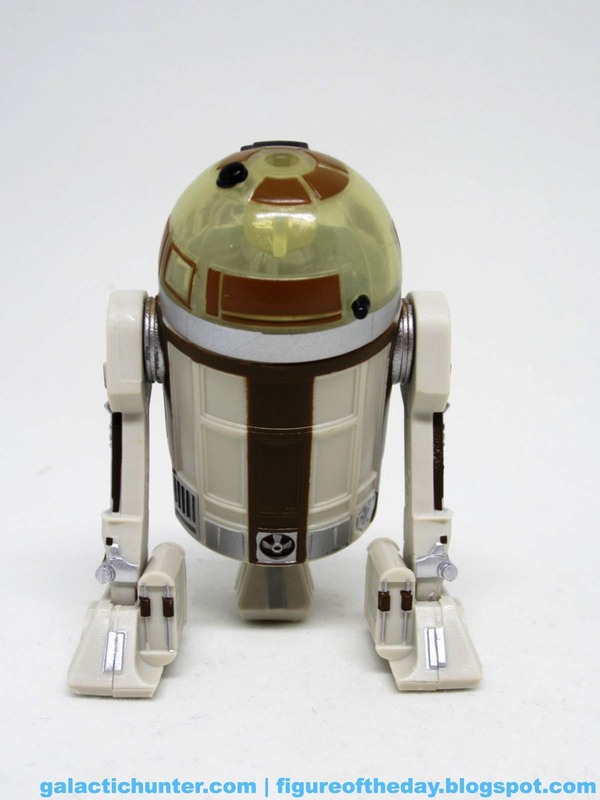 This R2-BHD isn't 100% the same color, though, and for that reason he's interesting enough to plop in whatever diorama you may have. 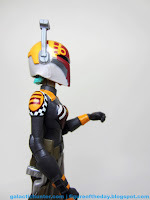 Mine is "all the too many droids I have" diorama, which is under construction and I hope will be done in mid-2017. Because it's different I'd suggest that you should get one. Is this a good reason? No. Is there any really good reason to own more modern-era astromech droids than there are different figures from the entire original 1970s and 1980s line? No, but I'm doing it anyway. Don't judge me. Commentary: If the name C2-B5 sounds familiar, it should - a few of them are being made. Disney has a die-cast metal one being sold, plus Hasbro has one as the AT-ACT pack-in droid you've been fretting over. 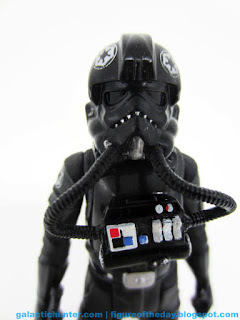 If you just want a 3 3/4-inch C2-B5 and aren't picky about its Hasbroness, or just don't want the AT-ACT, this version is a cheaper alternative with more articulation. 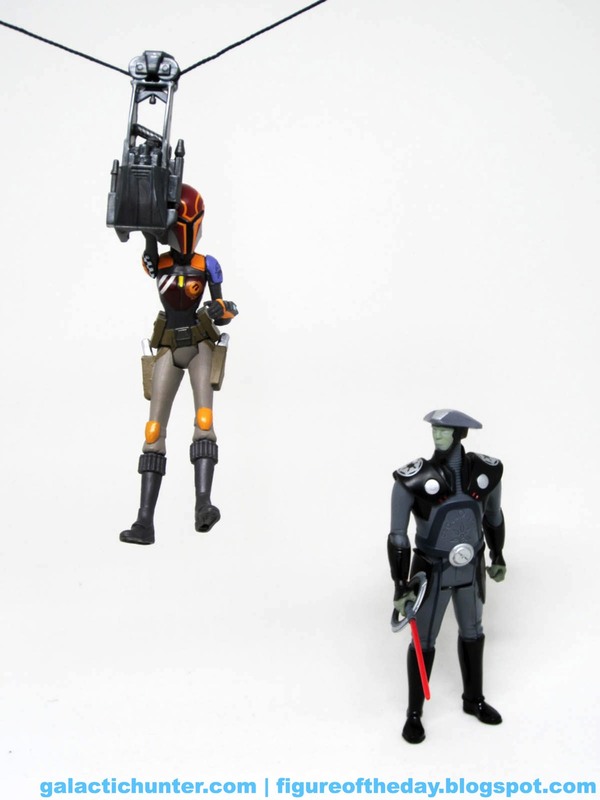 I'll do a more direct comparison between the two when I get the AT-ACT version in the near future. You've seen this droid mold before. Many times. 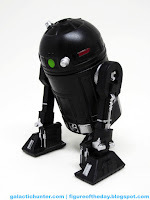 Every straight-up R2-style Astromech from Disney since the wireless legs were introduced uses this tool, but the deco is unique in that it's black plastic with silver - and black - painted highlights. 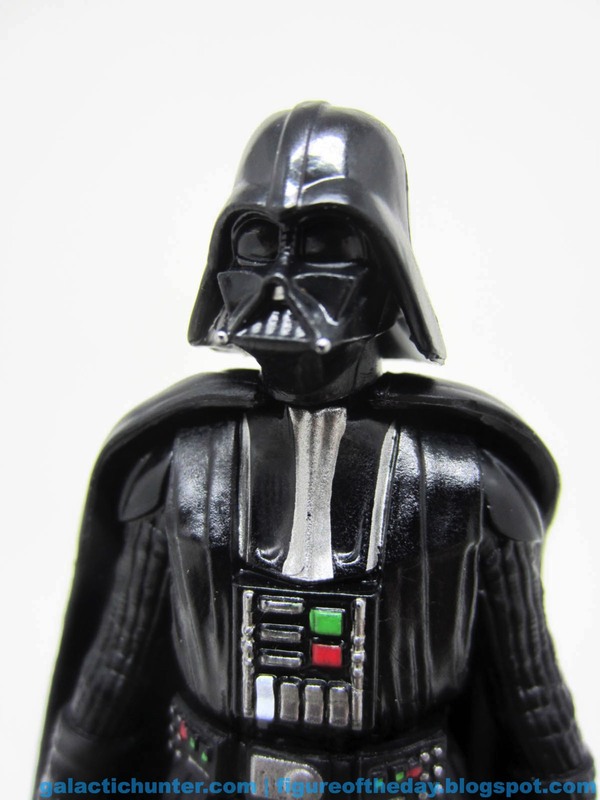 It's the executive edition droid, and so far we don't know much about it other than it's potentially Imperial and may be related to Darth Vader, but I don't think it's official either way at this point. Deco is unique - there are many other black astromech droids, but black ones with glossy black detail and silver highlights are scarce. Mine has a blue sensor light, while some of the other photos show a red one. You'll recall in the movies, these tend to switch colors as a course of function. Each leg has silver details and even the central foot has a silver stripe on it, while the back of the dome has a big green light and a rectangular red box. 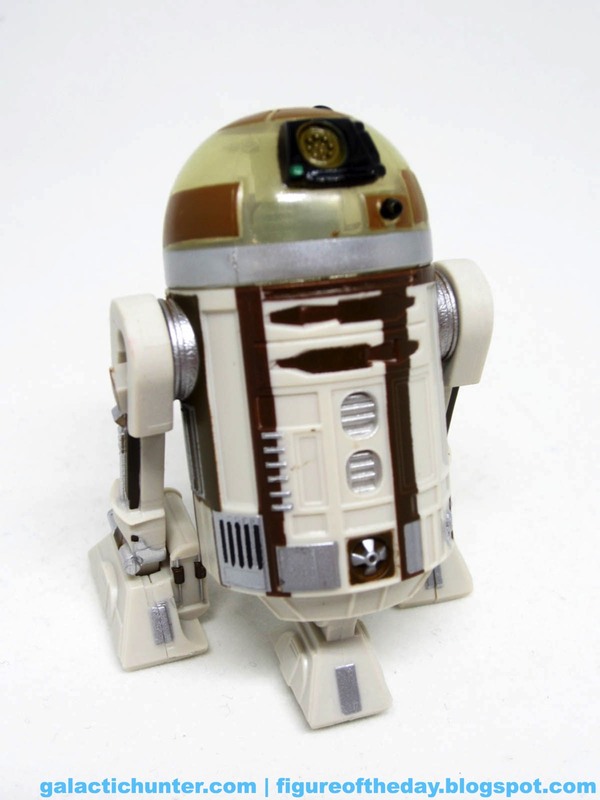 It's probably the droid you'd vote most likely to look at home in a serious scenario thanks to its formal coloring and lack of splatters, dirt, or other signs of aging. As with the other Disney droids, you've got rolling wheels and jointed ankles on the two big legs. It holds together well and looks like it could fit in pretty much any Empire installation, vehicle, or diorama. The fact that it has more articulation and is a cheaper buy-in than Hasbro's AT-ACT bonus figure may make it especially appealing to droid fans, although the true completists may have been left wishing for another, different droid just to mix things up a bit. 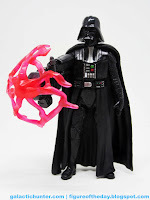 Do we really need multiple C2-B5 figures? Maybe - we don't know yet, but we'll know if we care in about two months. At least the design is cool. Commentary: Is it Skippy, the Jedi Droid? I can say the set is a good deal, but I can't always say the set is worth your while. 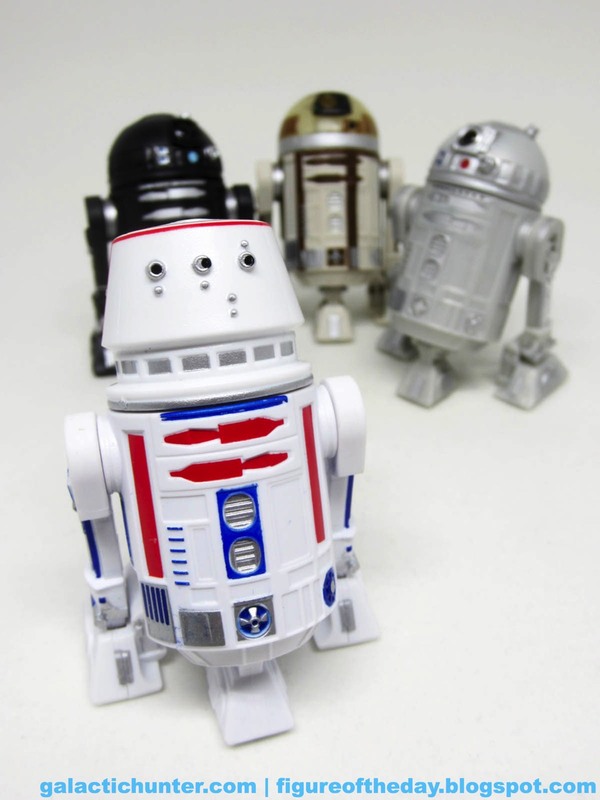 Disney's droid 4-packs are a screaming deal - single droids (the ones you build and customize, or the special carded ones) are $13 each. 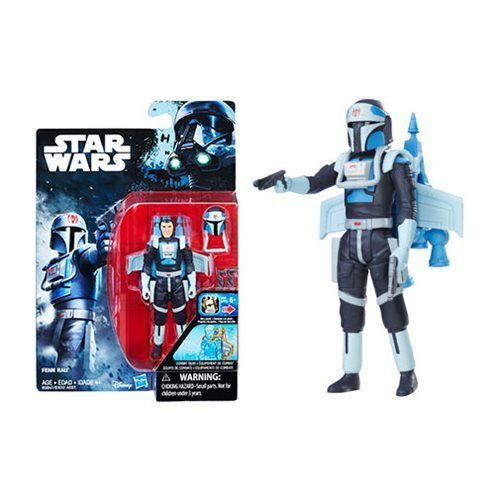 The 4-packs are $29.99 - $7.50 per droid, a perfectly good deal for an exclusive by even Golden Age of Figure standards. The real question is this - should you care? 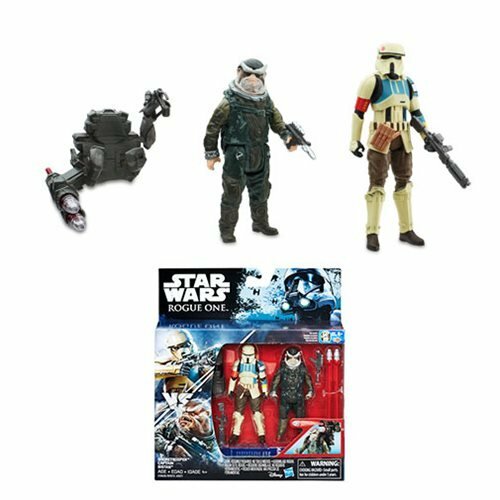 3 of the 4 droids in the Rogue One set are easily, unquestionably new. 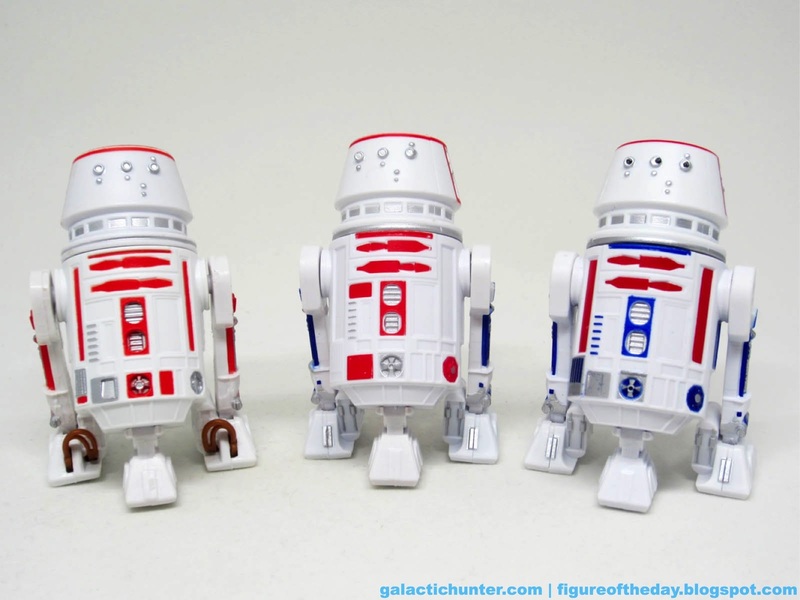 R5-SK1 is likely to be an insignificant background droid in Rogue One, and it looks a heck of a lot like R5-D4 or R5-D8 figures you may already own. 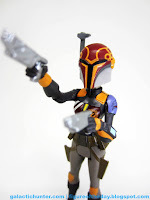 Or perhaps a Disney build-a-droid you picked up and assembled from parts. But it's not - it's different! You may call it "just different enough to make you mad" and you wouldn't be wrong. 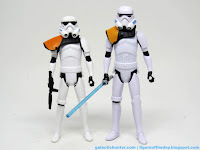 There are differences but any but the most picky droid fans won't notice and won't care. Since you are these people, well, I'm here for you. I love you all. 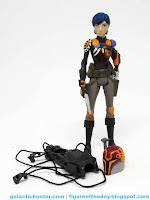 R5-SK1 uses the "Disney" chassis - left and right legs are identical, with no foot wires. There is no antenna on the dome. All three feet have wheels - and you may have dozens of figures like it if you've been getting all the Disney stuff so far. There's not a lot new here as tooling goes - but deco? Oh yeah. The dome is basically the R5-D4 deco with the double-border around the top, the filled pie slices, and the rectangles around the posts on the sides and on the back. 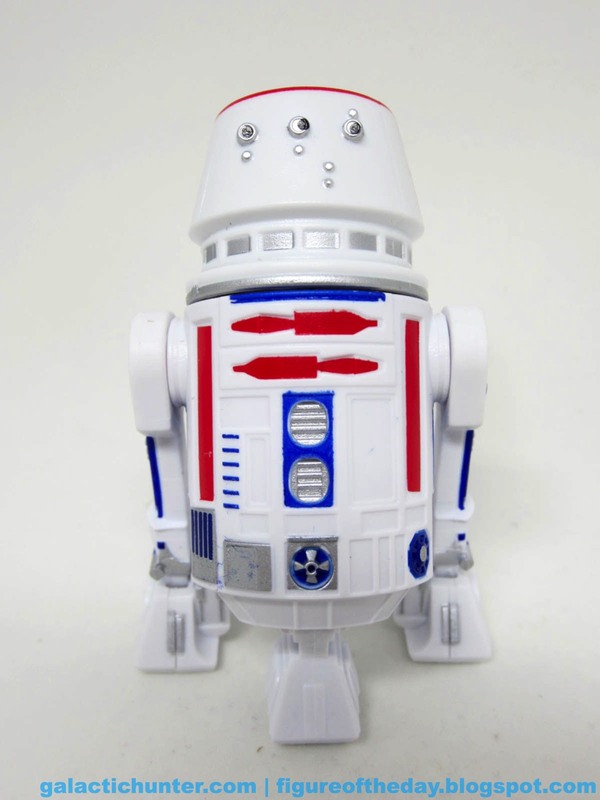 This isn't unique - but the filled black eyes on this design are unusual, and unique to the "R5-D4"-flavored domes sold at Disney theme parks. Previously sold R5 domes had plain silver eyes when found in the Droid Factory bins. It still carries the hole for the hats. 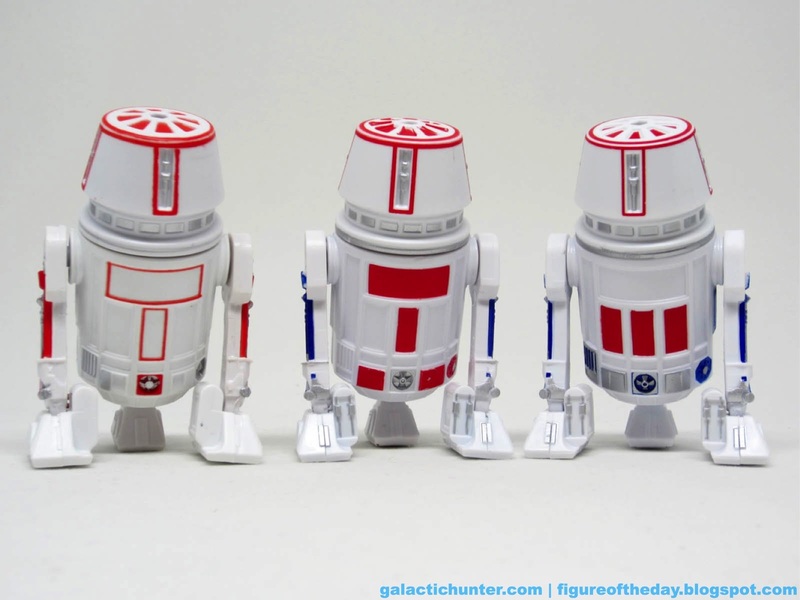 The torso is a riff on the R5-D4 design, but different. There is blue under the "armpits," and the little greeblies in the front have a lot more blue than usual, including the small ladder formation on the right side of his person. 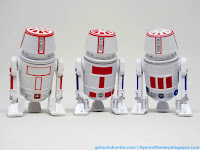 If you have The Saga Collection R5-D4, you'll notice some blue in that lower body region. 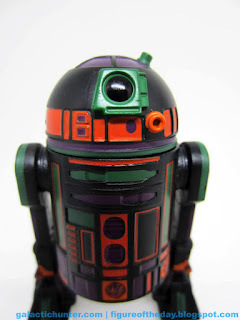 On the back, the body has 3 rectangles filled in with red paint - very unusual and uncommon for the Disney park droid bodies. 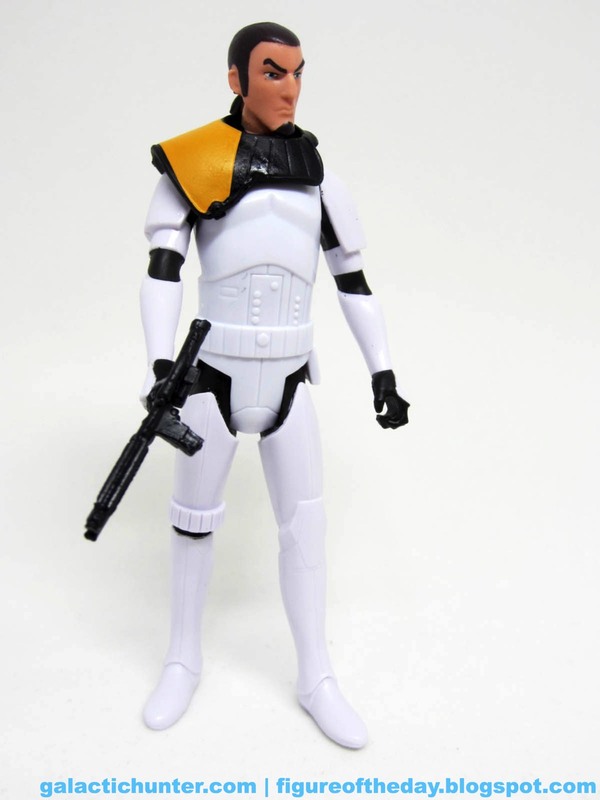 For a white droid body, there's a lot more paint here than usual, and it's different enough from the other bin pieces where I would call it notable. The central middle leg is unpainted white. There's nothing new here. The side legs are also similar if not identical to the ones I'm comparing from the "revised" wireless legs - the silver toe, the blue stripes, the little blue dot - there's no obvious difference. 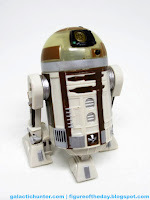 Constantine to R5-D4's Kermit, the R5-SK1 droid is indeed different enough that you should be able to tell them apart but perhaps not different enough that you could tell without knowing what signs to watch out for. I'd say the black eyes, the blue details on a white-with-mostly-red body, and the red rectangles filled in the back will be the most telling signs should you ever stumble upon a loose one in a collection or on eBay. 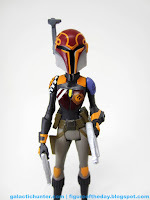 Not knowing its role in the movie - but guessing - I'd say you would be able to skip this one except for the fact that it comes as part of a set with 3 other compelling, very different-looking droids that you do want. So yeah, you're stuck with this one, but at least it's slightly different from the others. 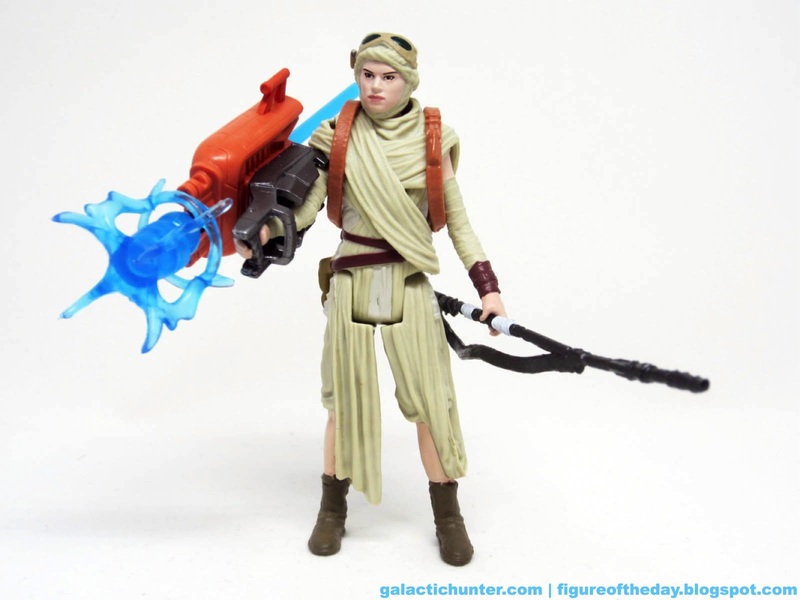 Commentary: Because she's popular, here's Rey. 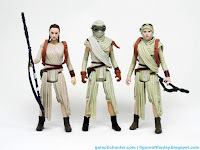 We found out Rey was the new Luke last September, and her action figure selection confirms this - back in the 1990s we got a bevy of Lukes from the original movie with unique helmets, hats, ponchos, and other accessories. 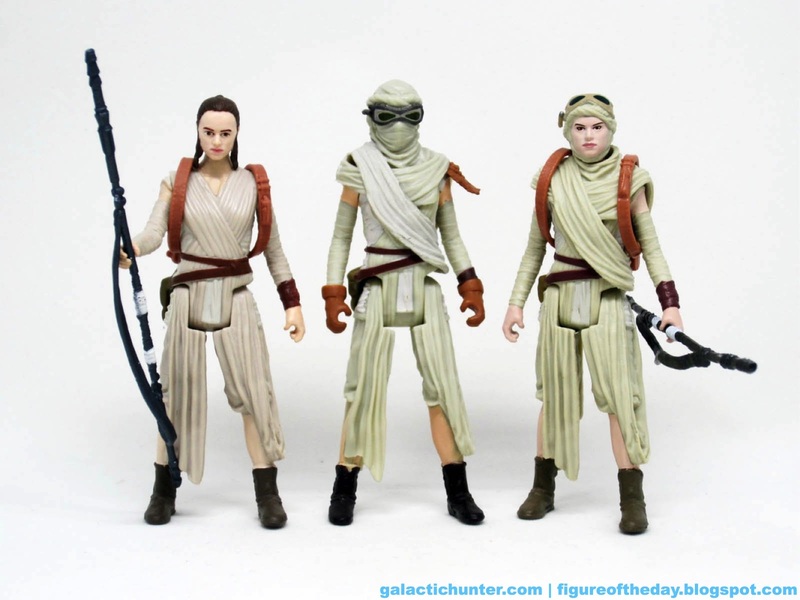 Rey currently enjoys 5 different (well, 4 unless you're an accessory completist) 3 3/4-inch action figures, 4 of which share similar if not identical bodies. If you're an all-in fan of Rey (and boy howdy am I) you probably really appreciate it when Hasbro puts in new parts and makes big changes to the figure. This one delivers enough changes to be worth your while. The big changes over Rey [FOTD #2,191] from last year are the head, the rocket launcher, and the torso wrappings. The arms, legs, and torso seem to come from the same (I presume) digital sculpt as the others and other figural products. There are minor differences - feel free to compare the markings on the boots - with the plastic outfit seemingly a little more saturated in deco. There's a hint of yellow in here, as opposed to the more muted ran color of the original. It stands apart. It also stands quite nicely. Another cool bonus - despite having chest wrappings and a wrapped head, Rey retains neck articulation this time. 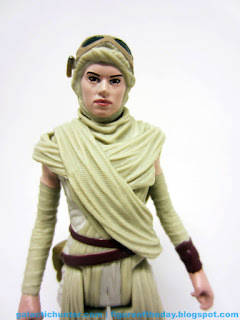 The figure has a good face sculpt and decent deco - the head is molded in the wrapping color with a painted face, which actually serves Rey well. It helps to avoid the whole skin translucency issue we see with other toys. 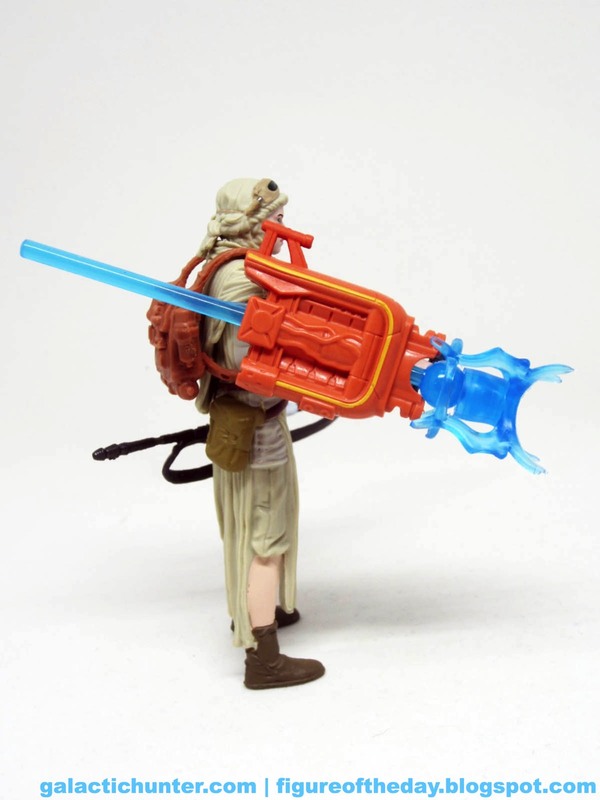 While her staff and backpack offer nothing new, that rocket launcher on her arm is a delight. 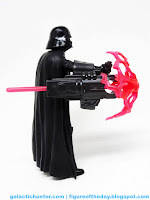 I'm not saying you'll love it, but for those of us who love the toys of the 1990s where a big spring-loaded weapon dongle was standard issue? I believe we'll all love what they're trying to accomplish here. The painted, arm-mounted launcher is modeled after her speeder vehicle with the orangey red color and some added deco to bring out a little detail. 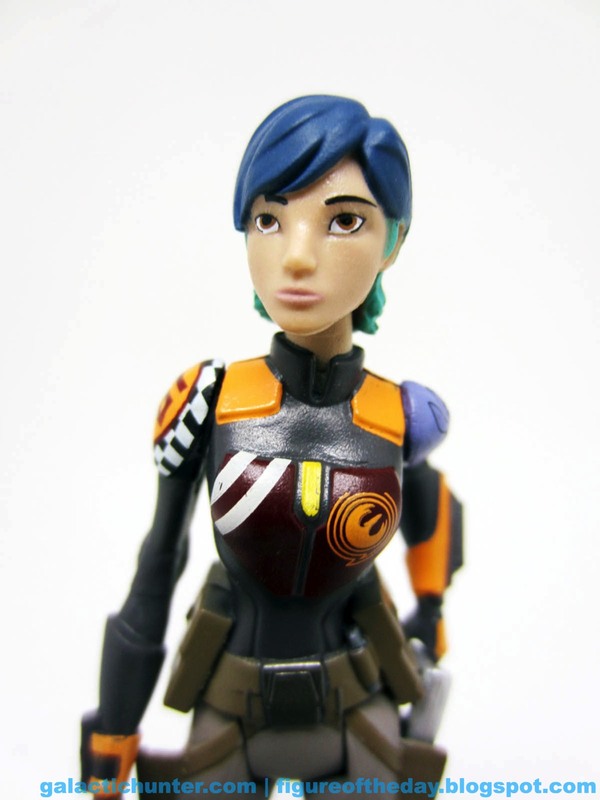 She has no real problems wrapping it to her forearm, and most shockingly to me she has remained standing on my desk for days without toppling over due to an imbalance. It's a decent, bulky weapon too - I'm impressed! 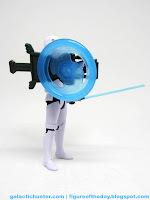 The blue blast-capped rocket shoots out of the launcher fairly nicely, but it's not as amazing as the distance you'll see on the Nerf launchers. It goes a couple of feet, which isn't bad.